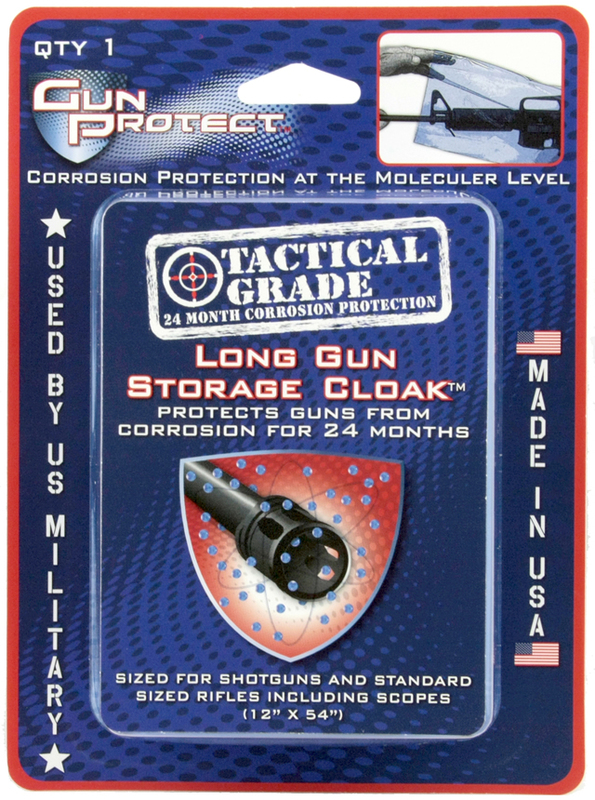 The Tactical Weapon Cloak uses Corrosion Inhibiting Skin (CIS) technology. Once sealed, the CIS vapor from the Weapon Cloak emits and adheres to the metal parts of the weapon. 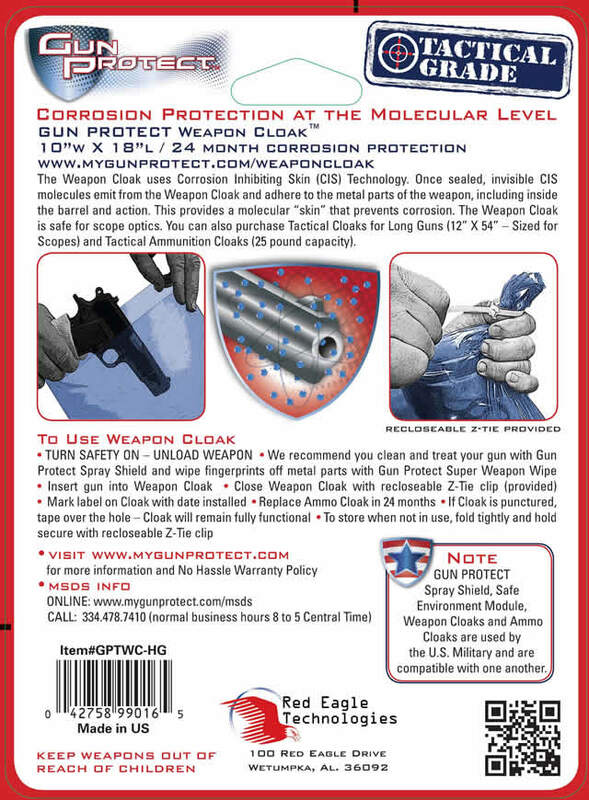 This provides a molecular “skin” that prevents corrosion. 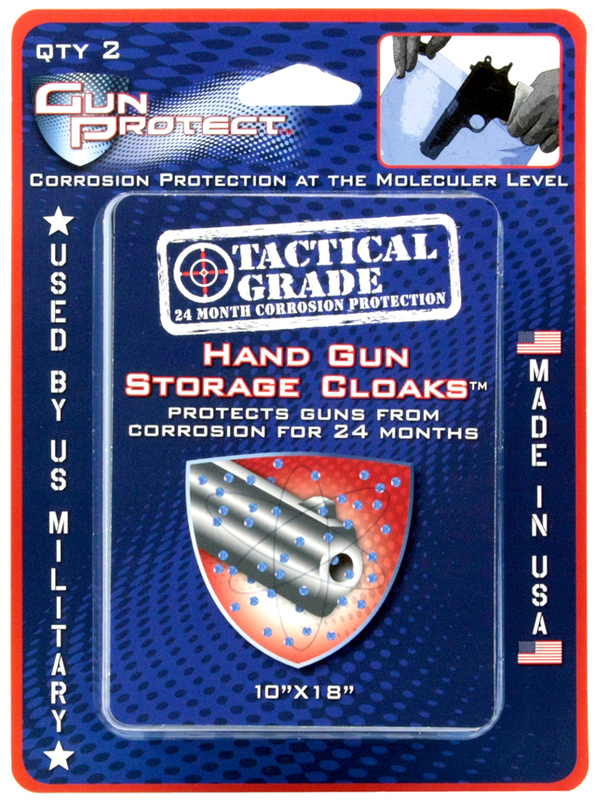 The Tactical Weapon Cloak shelf life is 24 months. Hand Gun Cloak is 10”x18”. 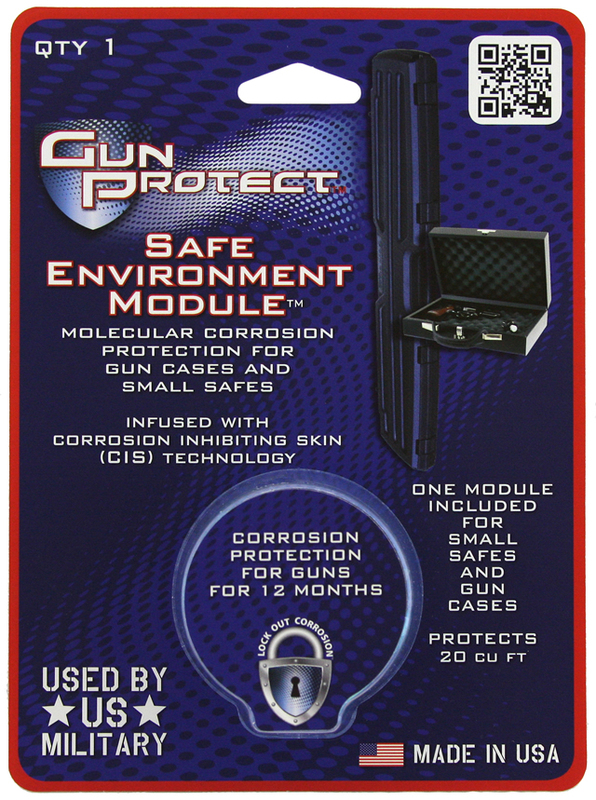 For additional protection in gun safes, get the Gun Protect Safe Environment Module. It provides 20 cubic feet of CIS protection for 12 months. Or the twin pack that provides 40 cubic feet of protection for 12 months.